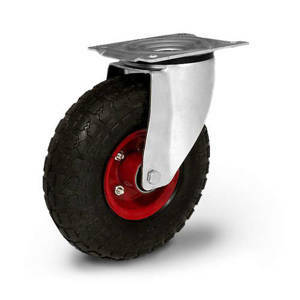 Pneumatic wheels are suitable for rolling on uneven surfaces. They provide great transport comfort in terrain. They can work in temperatures from - 30 to +50 degrees Celsius. 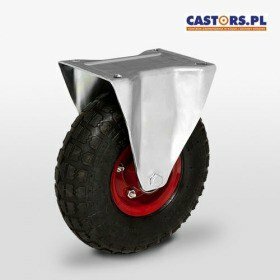 In our offer we have pneumatic casters in fixed and swivel versions with roller or ball bearings.